The American Association for Emergency Psychiatry produces a regular newsletter for its members. To access the newsletter, please login to our Member Portal. The Newsletter is a quarterly electronic publication that is one of many benefits of membership. We encourage all members to submit articles for publication within the theme of Emergency Psychiatry. Members who are interested in submitting an article, please send your submissions to [email protected] for review. For a list of upcoming deadlines and additional information about how you can be involved in the AAEP Newsletter, please contact our association office at 877-749-0737. 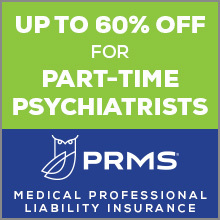 What’s going on with your Emergency Psychiatry facility, with you and your staff? We’d like to know and share it with other AAEP members in our informal newsletter. Has your program moved to a new building? Did you or one of your attendings publish an article related to Emergency Psychiatry? Have you, your staff, or your program recently been honored? Is there a new educational or training process you are using that you believe could help your peers? We welcome you to share any news relevant to Emergency Psychiatry with your fellow members. Please send your announcements to us either by email or complete and send the AAEP Member Announcement form to [email protected].